I’ve been thinking a lot about the ocean. I’ve always loved aquatic life, I’ve always loved drawing it. 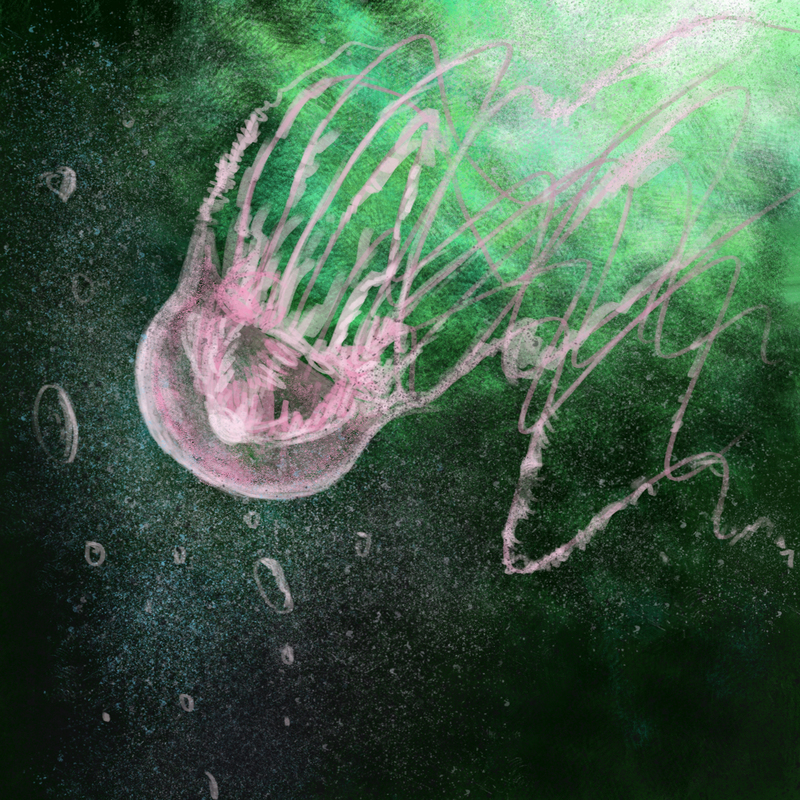 I keep thinking about jellyfish, so I decided to draw one after seeing so many lovely paintings of jellyfish everywhere…I drew this in photoshop, actually from the top of my head, I downloaded some lovely photoshop brushes from Matt Heath which is how I got the textured painterly effects.